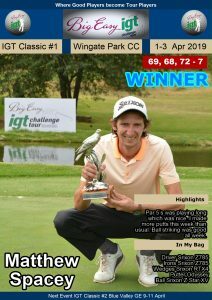 PRETORIA, 13 November 2018 – Eric Nel signed off with a pair of birdies at Irene Country Club to join overnight leader Matt Bright in pole position in the Big Easy IGT Challenge Tour #14 on Tuesday. The Centurion golfer picked up seven shots to post a second round four-under-par 68 and finish alongside Bright, who birdied the last hole for a 70 and a 36-hole total of nine-under 135. 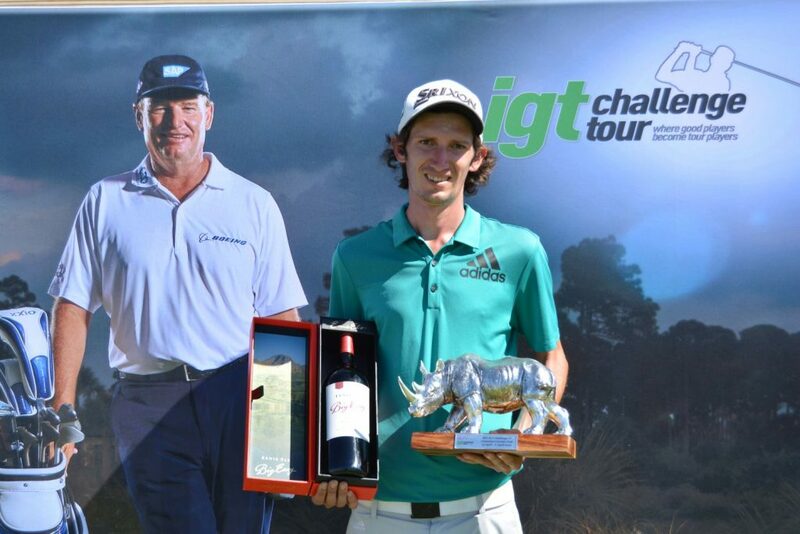 Nel and Bright will take a slender one shot lead into the final round over Luke Brown and Dylan Kok – both winners on the IGT Challenge Tour this season – as well Gary Player School of 2018 member Derick Petersen. 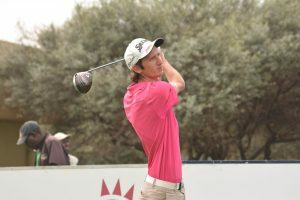 Korea’s DK Kim and Ulsterman John McClean tied for sixth on seven-under, with former Sunshine Tour winner Heinrich Bruiners a further shot back in joint eighth with Marthin Scheepers and last year’s IGT Challenge Tour Money List winner Ruan Conradie. Thabiso Ngcobo from the Gary Player School of 2018 fired seven birdies for a flawless 65 to claim the low round honour and rocket to a tie for 14th on four-under 140. Bright offset an early pair of bogeys at 14 and 15 with birdies at 10, 18, six and nine. Nel bogeyed 11 and 14 and 16, but birdies at 15, 17 and 18 took him back to level. Another brace of birdies at five and six saw the 21-year-old rookie dip two under par and he completed a flawless back nine with another pair of birdies at eight and nine to force his way into the lead. 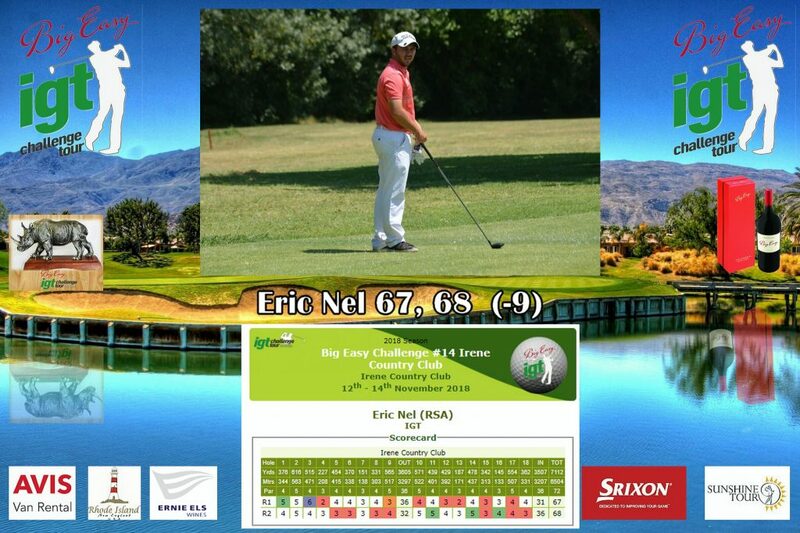 “I played solid tee to green, but three wayward tee shots cost me three shots on my front nine,” said Nel. “I leaked my tee shots right at 11 and 14 and couldn’t up-and-down for par and the tee shot veered left at 16, leaving me with a tough up-and-down for par. 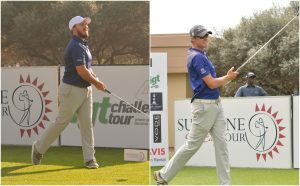 The top 10 players will earn cards for the 2018/2019 Sunshine Tour after the Big Easy Tour Championship from 12-14 December. Bright has virtually guaranteed his card at number one in the Race to Sunshine Tour. 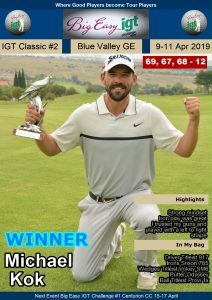 The business entrepreneur backed up successive victories in June and July with a fistful of top 10 finishes and banked more than R40K along the way. Time is running out for Nel, though. He has had a mixed bag of results this season and a series of missed cuts sees him well back in the 40th spot in the standings. 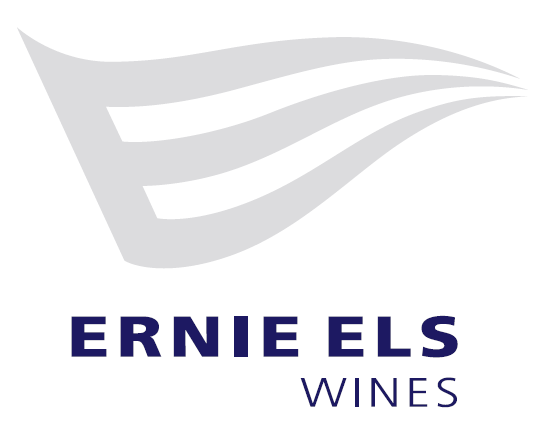 Nel must earn at least R20 000 in the last three events to break into the top 10 and victory on Wednesday would mean a R10 500 pay-day.